Nothing says dessert for a crowd better than a trifle. They’re super simple to put together and are crowd pleasers at church groups, book clubs, and of course every Holiday gathering from Easter through Christmas! Trifles are super simple to make so they’re the perfect choice if you need to feed a crowd over the Holidays or at your next Pot Luck. They keep well so you can make your dessert ahead of time, which is really useful if you’re hosting dinner and you want to take some of the stress out of preparing everything else on the day. If you know how many people will be eating dessert one of the easiest ways to make a trifle to feed a crowd is to use individual glasses so that you know there is enough for everyone. The other option is to make your trifle in a huge bowl (like this one from Amazon). Whichever way you go making it is just a case of layering the various ingredients so that the finished trifle looks pretty in the bowl! 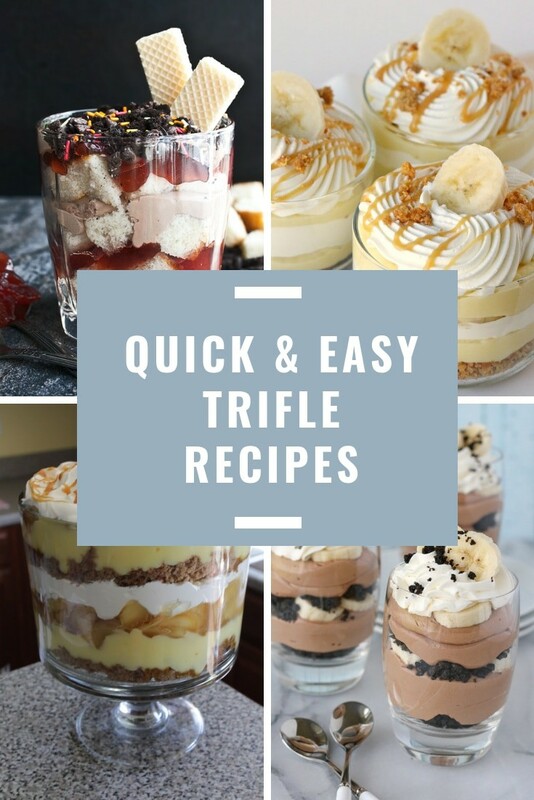 You can keep things safe using traditional trifle ingredients, or impress your guests with one of these show stopping trifle recipes instead! 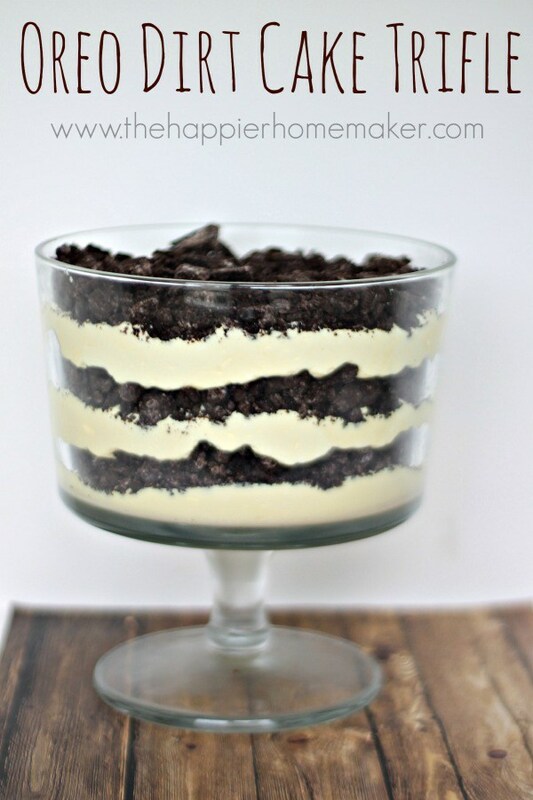 Mini Nutella, Peanut Butter & Oreo Trifle – If you have any peanut butter fans coming over you will want to serve up this amazing Mini Nutella, Peanut Butter and Oreo trifle. Note how it’s individual, so no one has to share! 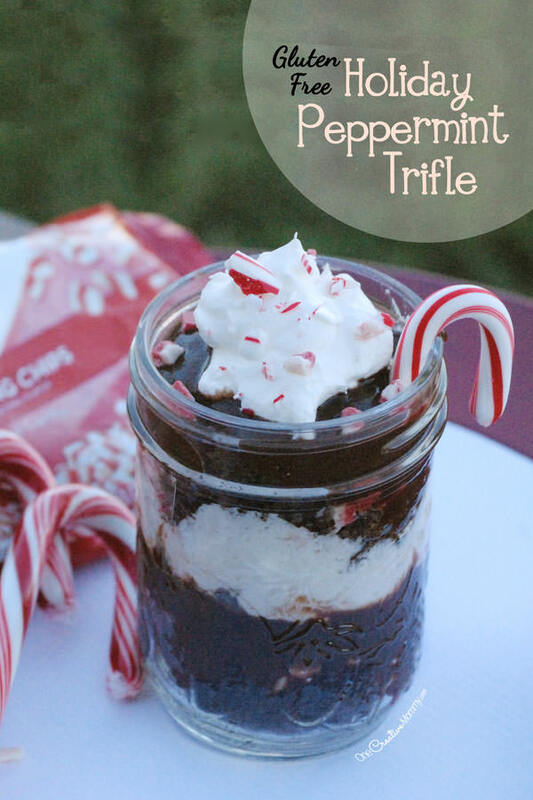 Gluten Free Chocolate Peppermint Trifle – Oh my, this chocolate trifle has my mouth watering just looking at it, and I love how there is a gluten full and a gluten free version of the recipe. 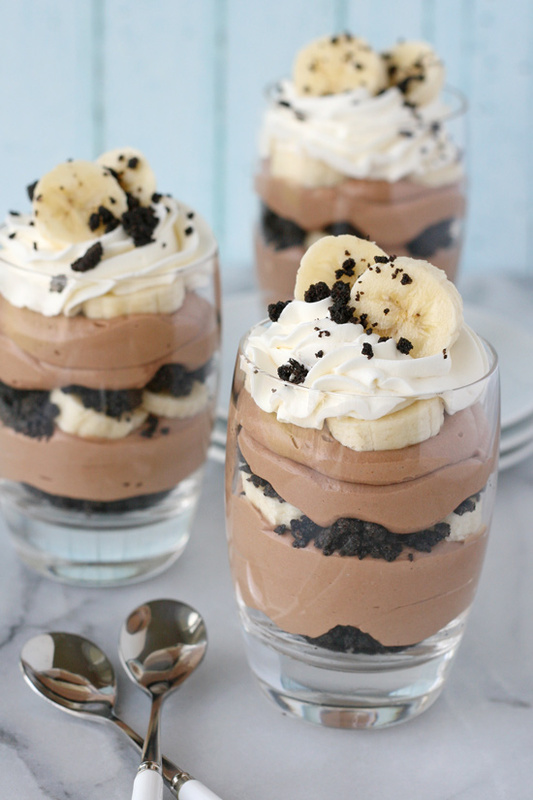 Banana Nutella Trifle – Bananas, Nutella and Oreo Cookies… oh my! This one got my mouth watering! 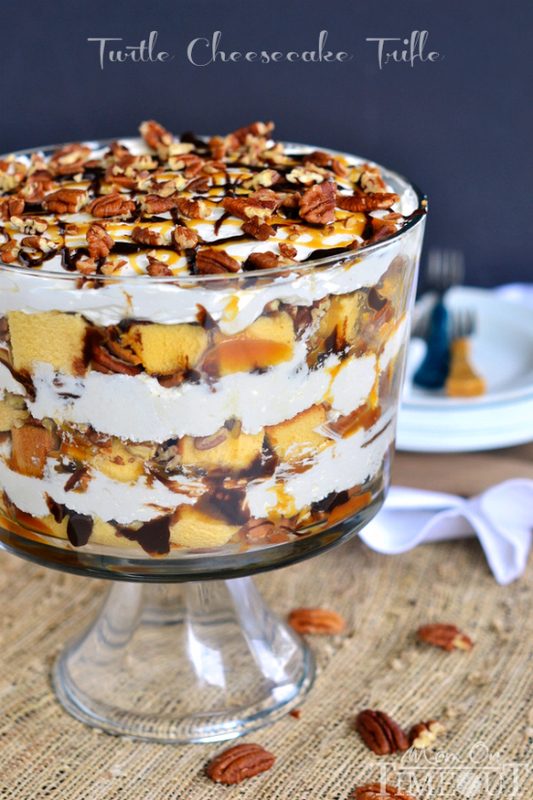 Turtle Cheesecake Trifle – Oh my goodness me. Pound cake, and caramel sauce, and no bake cheesecake. This is a showstopper of a trifle if ever I saw one! 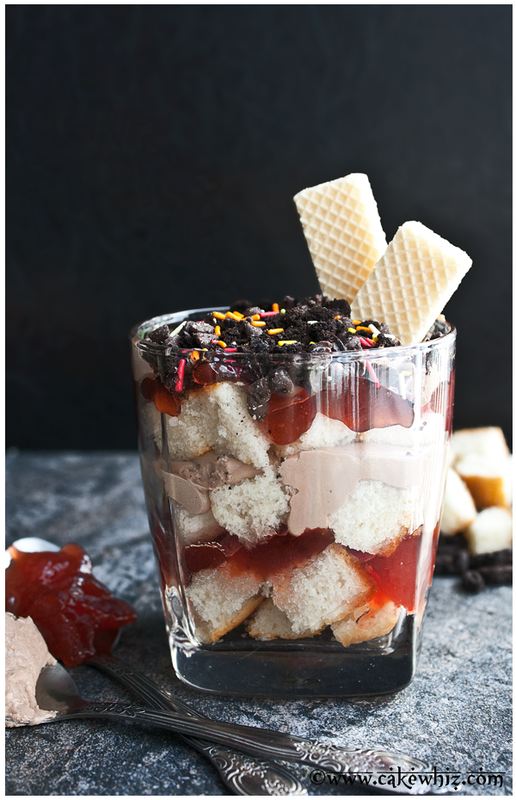 Boston Cream Pie Trifle – Do you love Boston Cream Pie? This one is for you then. You do need to bake a yellow cake to form some of the layers, but hey it’s from a box mix so it’s not too much effort. 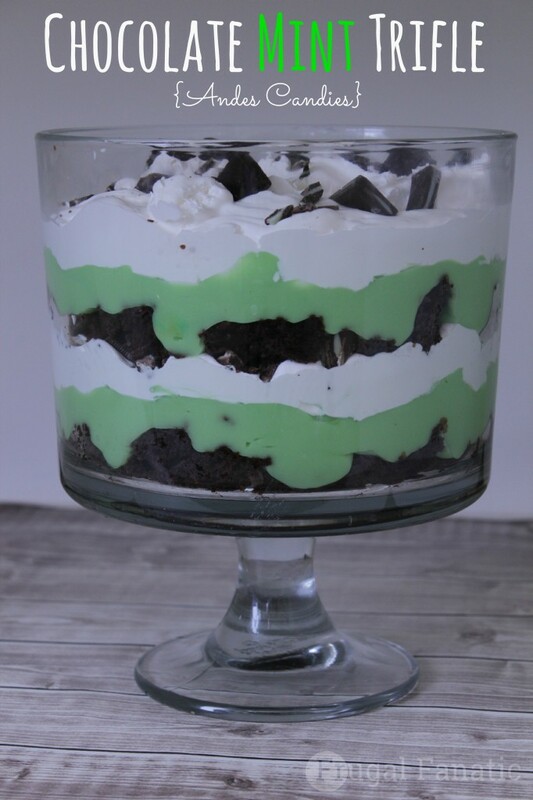 Chocolate Mint Trifle Recipe – Oh my. Would you just look at that mint and chocolate. 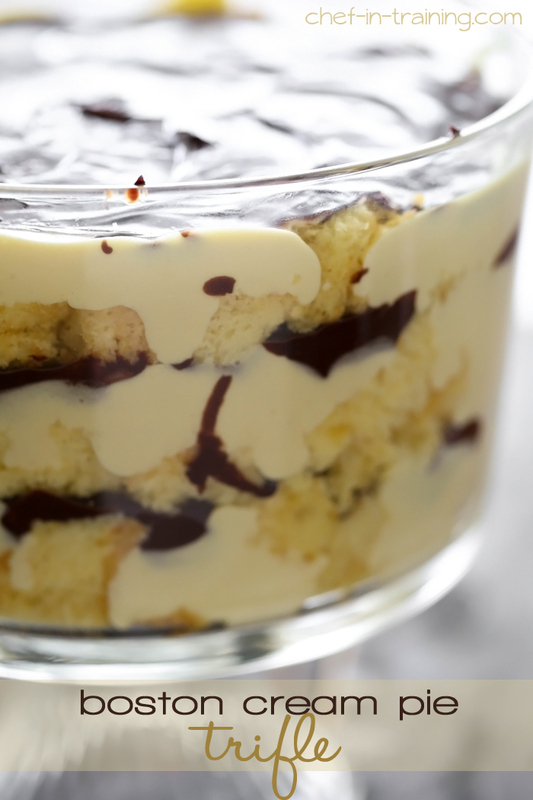 We have a packet of mint thins in the cupboard just screaming to be added to a trifle like this! 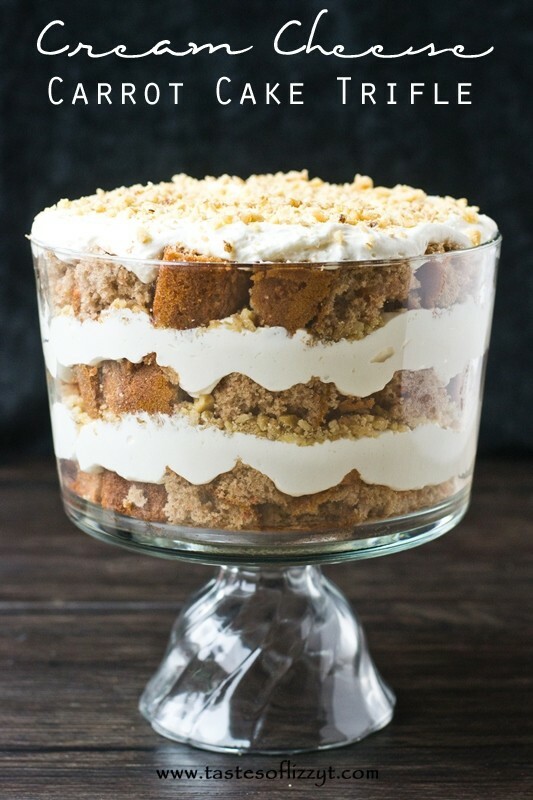 Cream Cheese Carrot Cake Trifle – If carrot cake is your thing then check out this scrumptious alternative. 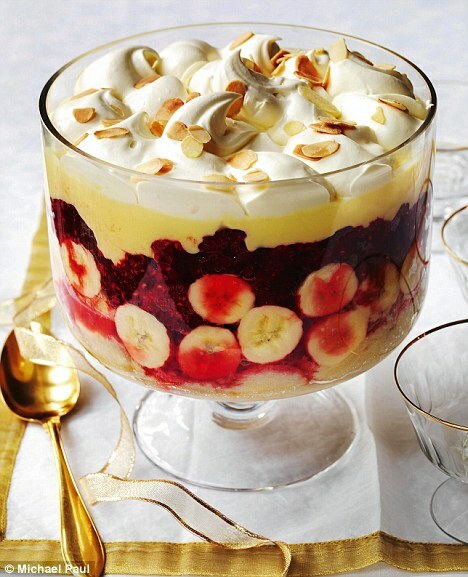 Add some home made cream cheese and some walnuts and you’ve got yourself a fabulous trifle! 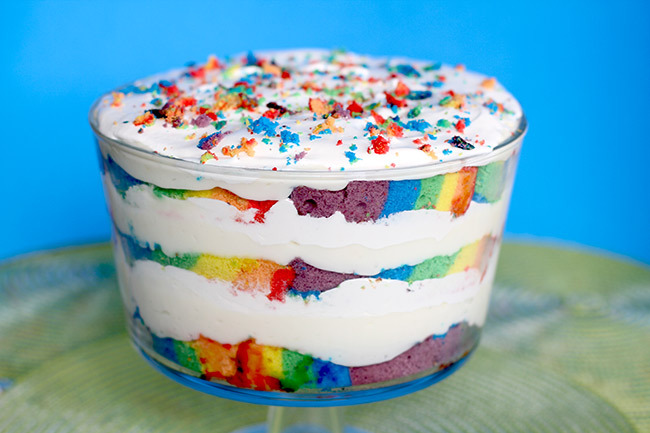 How To Make A Rainbow Cake Trifle – Love, love, love this one! Rainbow cakes are great for parties and gatherings, and you can colour the sponge to make it fit any Holiday too. You’ll be making this trifle for Christmas, Valentines, St Patricks Day and the 4th of July! Best Dirt Cake Recipe. Ever – Who knew? If your kids turn their noses up at trifle you can add some gummy worms and call it a dirt cake! 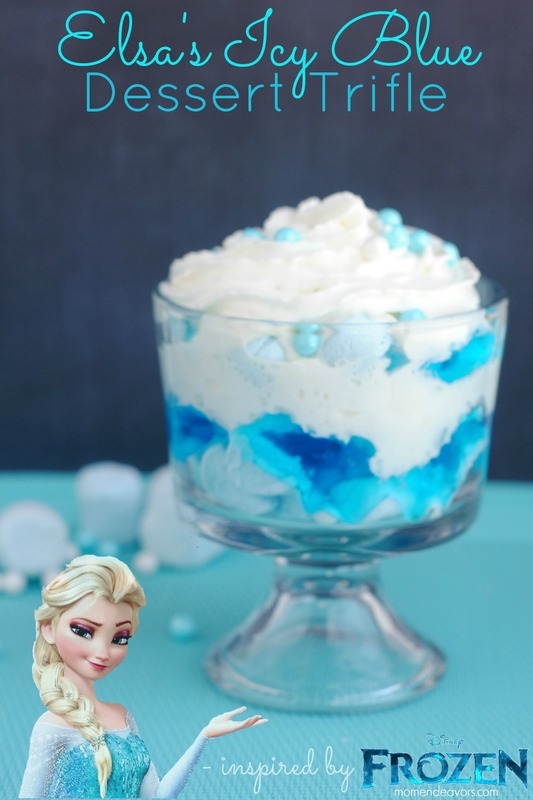 Disney FROZEN Fun Food: Elsa’s Icy Blue Dessert Trifle – Do you have any FROZEN fans in your family? Whether you’re planning a birthday party or just a themed movie night you can’t go wrong with this blue spectacular. 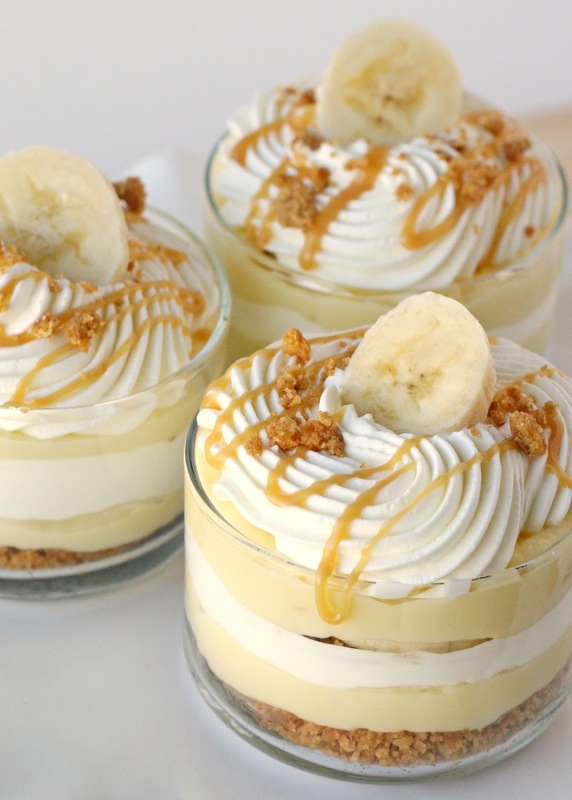 Banana Caramel Cream Dessert – If you’re looking for a fruit trifle recipe try this one. I love how these are all served up in adorable individual portions. But you’d better make extras because people will want seconds! 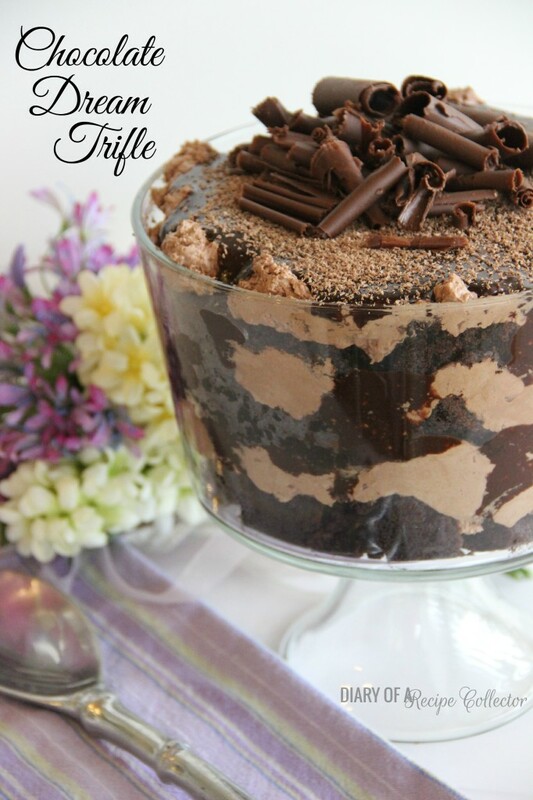 Chocolate Dream Trifle – This could just be a chocolate lover’s heaven, right there in a trifle bowl. 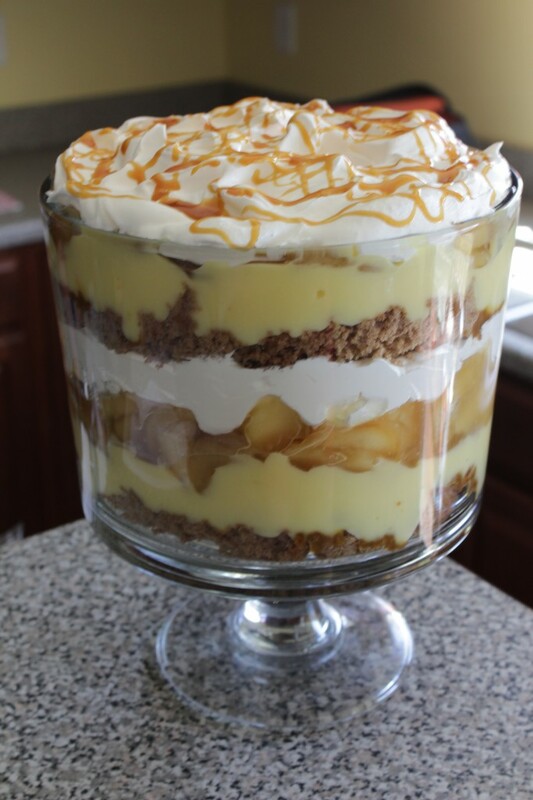 Caramel Apple Trifle Recipe – How’s this for a caramel apple pie with a twist? If you’ve used up all your apples already you can grab a tin of apple pie filling instead, no one will guess! 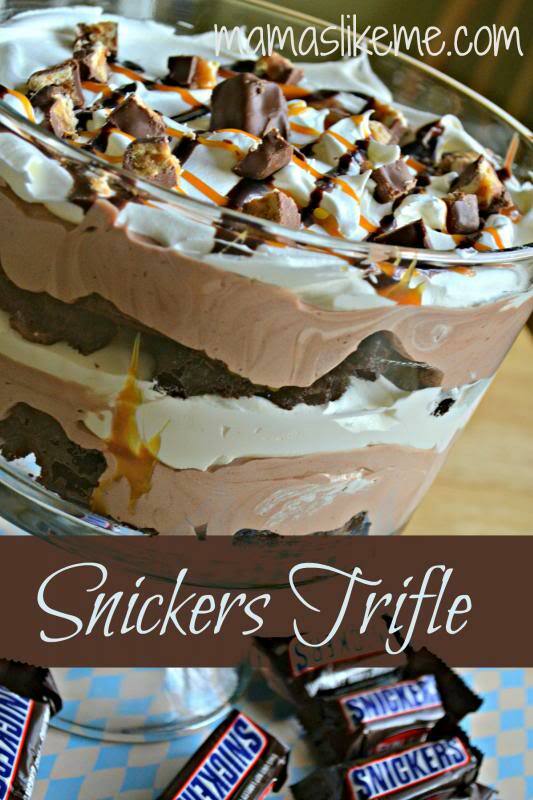 Snickers Trifle Dessert – This Snickers trifle is a hit with teachers, churchgoers and kids! I guess you could use any of those miniature chocolates you have around at Christmastime on the top. Strawberry Shortcake Trifle Recipe – This strawberry trifle has just four ingredients, and with a no bake version it’s perfect for last minute get togethers. 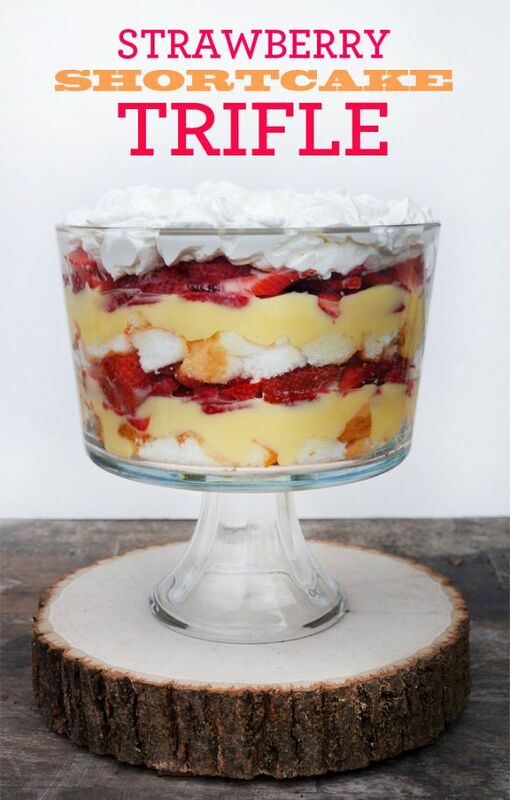 Traditional English Trifle – And just in case you’re wondering what goes into the traditional English trifle, here’s a classic recipe from Delia Smith. Next PostNext 30 Ways to Repurpose Old Picture Frames You’ll Wish You’d Seen Sooner!